As the firm’s diversity and inclusion manager, Carmen White works to attract, develop and retain a diverse pool of attorneys and staff and promote an inclusive work environment. Together with human resources and professional development staff, she provides diversity education programs for employees, measures the effectiveness of diversity and inclusion initiatives and assists the firm’s chief diversity officer and Equity, Retention and Professional Development Committee with community outreach efforts. 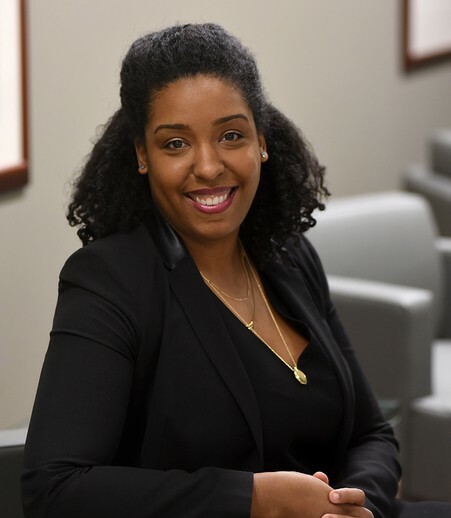 Carmen is a former municipal policy analyst who developed and led the implementation of an equity and human rights effort for the city of Tacoma, Washington. The initiative, which resulted in the establishment of the city’s Office of Equity and Human Rights, increased diversity in hiring and improved service delivery to residents belonging to historically marginalized groups. Carmen also previously served as a junior policy staff member for a United States Senator in Washington, D.C., and as a Management Fellow for the city of San Antonio, Texas.